When students use their bodies in the learning process, it can have a big effect, even if it seems silly or unconnected to the learning goal at hand. Researchers have found that when students use their bodies while doing mathematical storytelling (like with word problems, for example), it changes the way they think about math. “We understand language in a richer, fuller way if we can connect it to the actions we perform,” said Sian Beilock, professor of psychology at the University of Chicago. Two hippos and two alligators are at the zoo. Pete the zookeeper feeds them at the same time. Pete gives each hippo seven fish. He gives four to the alligators. In an experiment on third graders, students were divided into two groups. One group read through the problem twice. The other group acted out the story as they read it, physically pretending to feed fish to the hippos and alligators as they read the problem. Both groups of students were asked how many fish the zookeeper fed to the animals. “Kids who acted out the story did better on this problem,” Beilock said. The kids who read the problem often got “eleven” as a solution. They had missed the word “each” in the problem. But because the acting kids had physically mimed giving each hippo seven fish before moving on, the difference was ingrained. Scholarly study goes back a long time in history, but in terms of human evolution, many of the academic skills now required for successful functioning in the world are fairly new to the human brain. As neuroscientists investigate how humans learn, they often find that newer skills and aptitudes are mapped onto areas of the brain that also control basic body functions. Increasingly, this work is helping to illuminate neurological connections between the human body, its environment and the process of learning. Increasingly scientists are proving Montessori right. Researchers are studying the body movements of children as young as four-to-six months old and have found earlier and more frequent movement correlates with academic learning down the road. Kids who could sit up, sustain “tummy time” longer and walk were all correlated with future academic success, even when researchers controlled for socioeconomics, family education and type of future education, among other mitigating factors. Once kids are on the move the adults in their lives use directives and other more complicated language forms. As kids are coached by their parents, they begin to understand the directions and change behaviors. And once a child can do something on her own, she’s more likely to internalize what’s happening with others. As young children move and explore their worlds, they are learning through touch. Early bimanual training correlates with the robustness of the corpus callosum, a part of the brain that facilitates quick communication between the left and right brain hemispheres, Beilock said. This connection between using ones hands and swift communication in the brain may be part of the reason learning to play music is often correlated with math ability. “Math is a very recent cultural invention,” Beilock said. The part of the brain responsible for numerical representation also controls finger motion. Many children first learn to count on their fingers, a physical manifestation of the connection. The studies of very young learners have solidified Beilock’s conviction that academic learning is inherently connected to the body. A colleague of Beilock’s at the University of Chicago, Susan Goldin-Meadow has done extensive research into how student gestures can indicate a more nuanced understanding of math than students are often able to articulate verbally. Goldin-Meadow did a lot of work around problems of equivalence, which children often struggle to understand. She found that often students gesture in ways that indicate they understand how to solve the problem even if they are simultaneously describing an incorrect solution. “It’s particularly helpful for teachers because it may give you insight into things students may not be able to express,” said Goldin-Meadow at the same conference. 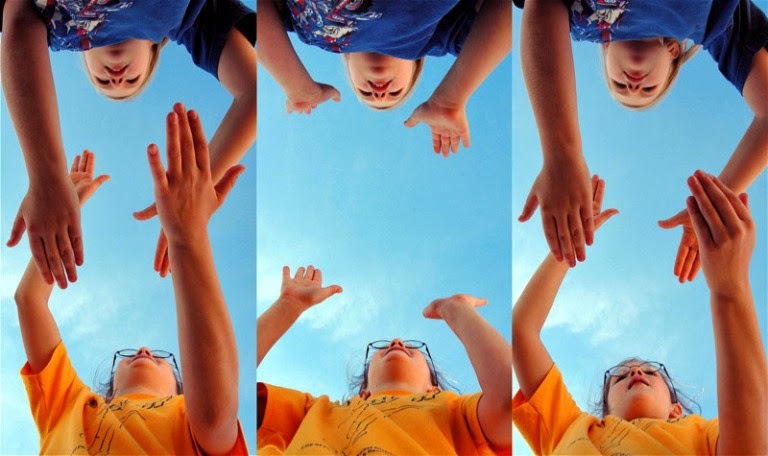 Not only could gestures be a good clue for teachers, but when students produce what Goldin-Meadow calls “mismatches,” meaning they are saying one thing and gesturing a different understanding, it indicates they are primed to learn. And, when teachers produce “mismatches” in their own speech and gestures, it helps students already in that primed state to learn by offering several strategies. “Encouraging kids to use their hands brings out unsaid, and often correct ideas, which then makes them more open to instruction and more likely to learn,” Goldin-Meadow said. She also found that showing two ways of doing a problem with speech had very little effect on learning, but showing two methods when one was in gesture helped learners. And the connection between bodies and learning doesn’t stop with the younger grades. Beilock studies how well students comprehend abstract concepts in high school physics. Many classes focus on listening to lecture, reading a textbook and doing physics problems. Beilock hypothesized that if students could feel an abstract concept like angular momentum on their bodies, they would both understand and remember it better. She and her colleagues used a rod with two bicycle wheels attached to test their ideas. Students spun the wheels and then tilted the rod in different directions. As they changed the angle, the force they felt changed dramatically. In her experiment, one set of students got to hold and experience the wheel. Another group just watched the first group and observed the effects they were feeling. They were all quizzed on the material a week later. “Those students who had more motor activation did better on the test,” Beilock said. “And those students were the ones who got the experience.” But what if one set of students was just better at physics? Researchers at DePaul University have replicated this experiment, strengthening the scientific link between hands-on experimentation and powerful learning. Just as body movement and involvement can have a huge impact on learning, so too can the spaces where we learn. While neuroscientists are starting to be able to prove this link with their experiments, this concept is nothing new. Philosophers, writers and practitioners of Eastern religions have long made the same connection between the power of nature to relax the mind and readiness to take on the world. “When we are in nature, our directed attention has time to rest and replenish,” Beilock said. That’s important because focus is like a muscle that gets tired. One researcher asked students to take a walk through the downtown of a college town. They weren’t asked to do anything in particular, but they naturally encountered a lot of stimuli. The other group took a walk in a natural setting. The nature walkers were better able to focus when they returned. Visual distractions apply to the classroom as well. Carnegie Mellon researchers recently found that when students learn in highly decorated classrooms, their gazes tend to wander, they get off task and their test scores suffer. Limiting visual stimulus is particularly important for very young learners who are still learning how to focus, and yet kindergarten classrooms are often the most brightly and densely decorated in an effort to make institutional buildings feel more cheerful. One way to help students reduce test anxiety is to let them work it out through their bodies beforehand. Beilock did an experiment with freshmen high school students before their first final. She asked them to write down concerns about the test and connect to other times they felt similar. They were told to be as open as they wanted and that their writing would be confidential. A control group of kids was told to think about what wouldn’t be on the test. This activity had little effect on kids who didn’t experience much test anxiety. But students experiencing high levels of anxiety saw a six percentage point gain on their test scores. And, when Beilock analyzed those students’ writing, she found the strategy was particularly effective for students whose writing revealed an eventual acceptance that the test was a minor hurdle, not the big scary all-consuming event they’d been worried about. “We can start leveraging the power of our bodies to help us learn, think and perform at our best,” Beilock said. Too often students are cooped up inside for six or more hours, sometimes without an adequate recess, and more likely than not, with little attention paid to how their bodies could be powerful learning tools in the classroom.